The weather was rather dull today, so I had to wait until sunset to snap this shot! 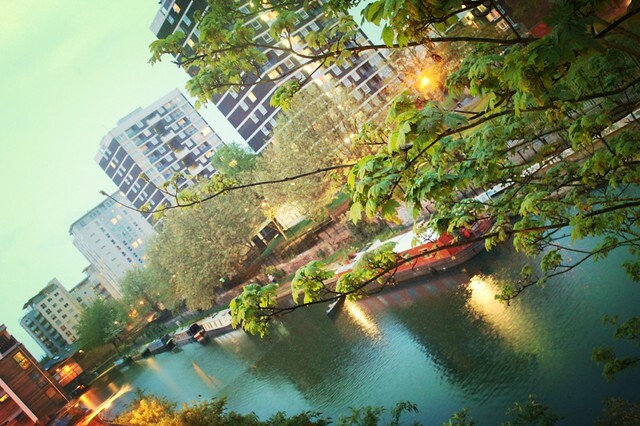 View of the canal, branches and flats. Amazing picture, the colours look so vibrant and well defined! Ooh is this near Royal Oak? What a gorgeous photo. I love the colour of the water.